Nominated for: setting blazing times on the track, and bringing Toronto with him. Andre De Grasse used to run with his gaze fixed to the sky, until his coach asked him to get rid of the habit. Still, the athletic gods seemed to have taken notice. With a mere three years of training as a sprinter, De Grasse has a preternatural gift of speed. His performance at the NCAA Championships in June, where he won the 100 and 200 titles, vaulted him the into the national consciousness. It all came down to 9.75 and 19.58 seconds—those eyebrow-raising numbers stunned Canadians. It was a surreal moment for De Grasse, too—he grew up shooting hoops, hoping to become a basketball player. Clearly, life had other plans for him. A month later, De Grasse gave indifferent Torontonians a reason to cheer when he won two gold medals at the Pan Am Games. There was no stopping him. In August, he tied for bronze with American Trayvon Bromell, behind Jamaican superstar Usain Bolt and American Justin Gatlin, at the world championships in Beijing. 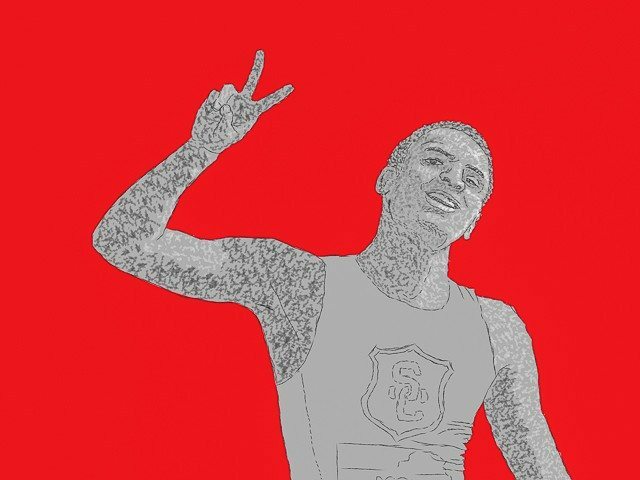 De Grasse made a lot of noise in 2015, and we expect more to come.